This summer’s hottest styles include the bob, lob and everything in-between! These precision cuts are quickly becoming the most requested styles. Celebrities like Chrissy Tiegen, Demi Lovato, Sienna Miller, Ashley Tisdale and Pippa Middleton have all made the cut. While these cuts look great when a client leaves the salon, precision cuts tend to run ragged not long after making the chop. Well – not anymore! 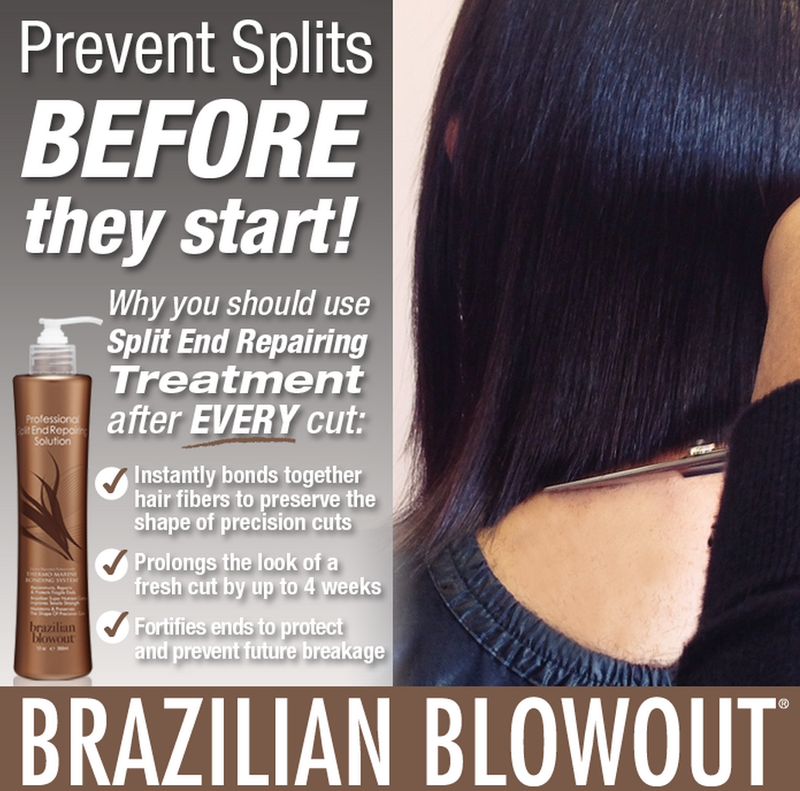 Enter your haircut’s new best friend: Brazilian Blowout Split End Repairing Solution! Using the Split End Repairing Solution after every single hair cut can extend the polished look, preserving the shape for much longer. Using a proprietary Thermo-Marine Bonding System™, this treatment fills in and binds broken hair fibers together, instantly mending split ends while a Brazilian Super Nutrient Complex™ prevents future breakage by surrounding each strand with a protective coating, defending against daily styling and environmental stressors. The end result is instantly repaired, stronger, healthier ends protected against future breakage, and a cut that keeps its style polished and perfect. Whether you have long or short hair, ask your stylist how Brazilian Blowout’s Split End Repair is the perfect solution to your cut. OMG< this blog is so awesome! Thank you guys! This is really very nice blog and so informative. Thanks a lot for sharing this article. While studying in the Perth, Australia; many students seek Assignment Help Perth services.High quality assignments.written by our experienced professionals. Upgrading communication is one way to get one over your competitors. Cloud-based businesses now integrate Text API into their systems to communicate with their customers in real-time. This is incredibly important when it comes to digital receipts, notifications and internal communication as well.